Place has a separate bar at the front, where they ply you with a drink immediately, while they organise a table for you. Good thinking. Nice to be here for sunset. Everyone else is in their eveningwear. They must think Windy Point is fancy or something. 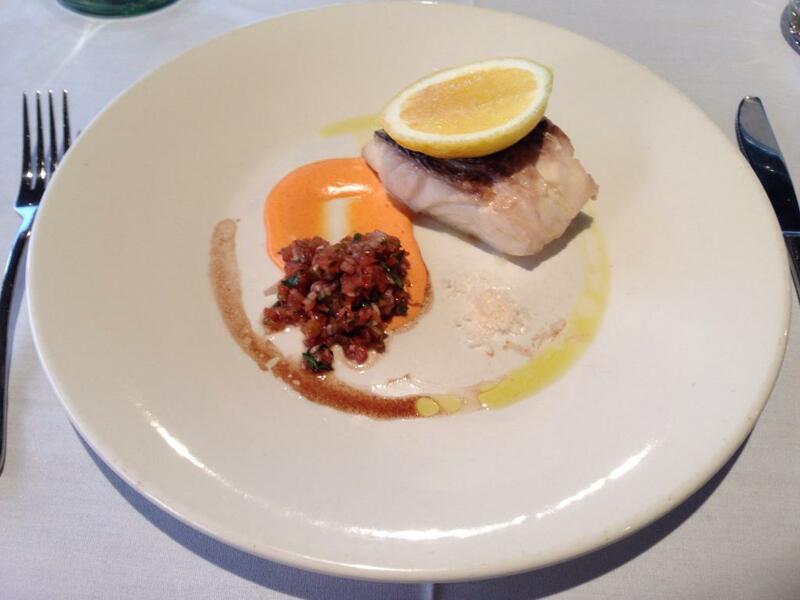 With Murray River pink salt, lemon cheek, heritage tomato salsa and rouille. The fish is soft and buttery, and has close to the perfect texture you could imagine for a fish. There's lots of things to dip it in. Time to begin. The rouille has a mild capsicum taste. It's nice, but not amazing like the fish. The salsa has a variety of slightly tangy flavours, like tomato and onion. Because it's cut up so finely, it all meshes together into one interesting but pleasant tangy taste. Definitely the best fish I've ever had. Had to think about giving this a ten. I didn't need to adulterated it with the lemon or salt. 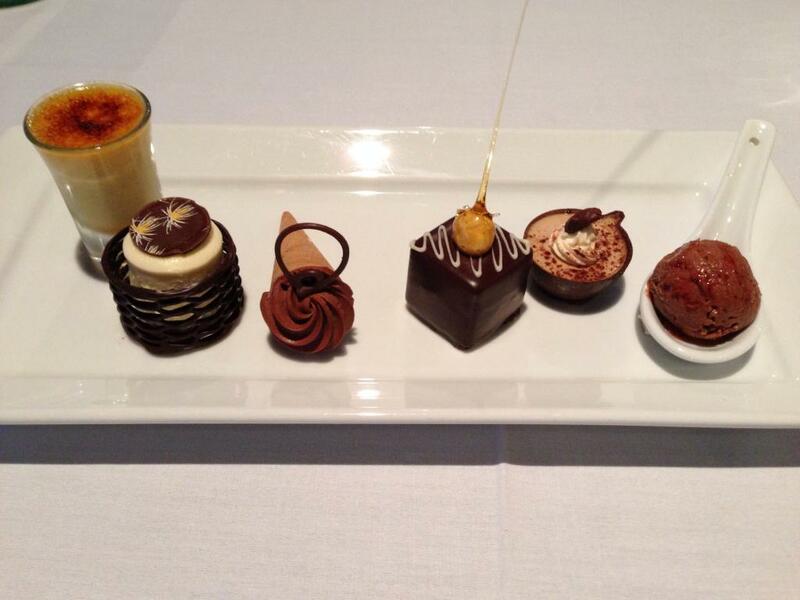 Chocolate Mélange for two... FOR ONE!!! Told to eat these right to left. Over all: very good, but too much for one person.